I’ll try not to bore you all to tears! Well… to be honest, the main reason I started running again was because I felt a bit on the “chubby” side since having my children (who are now 8 and 6)! And now, as well as the enjoyment side of it, the true friendships I have gained, and that little bit of competitiveness in me that I’ve realised I still have, I love the fact that I can still eat well. I do love my food! 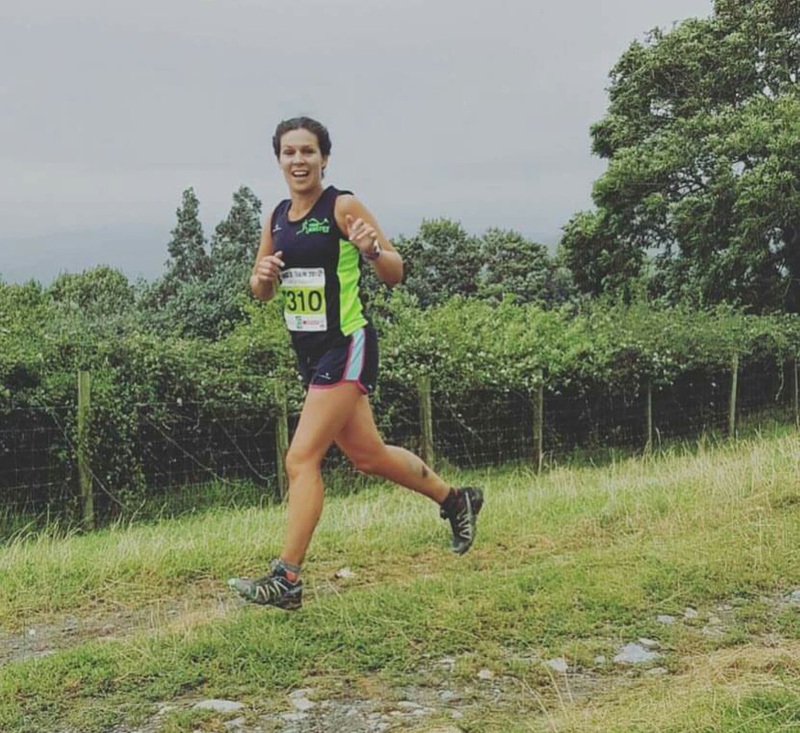 I had ran quite a lot in my younger years and teens (track and cross-country) then kind of drifted away from it when I started university back in 2000, although I kept active playing netball with maybe the odd run here and there. After graduating in 2003 I made a spur of the moment decision to run the London Marathon with my Mum (after watching a 90 year old man complete it, I thought “hang on a minute if he can do it, that’s one for my bucket list”). Myself and my mum ran in the Flora 2005 London Marathon (albeit in an eventful fashion but we did it, and raised money for Cancer Research too). I was so proud of my Mum for continuing after tearing her Achilles during the race. I then had my babies, including our first born, Jack, who was born sleeping in 2007. The worst time of our life. I know sometimes people turn to running / sport to get them through tough times, but for me at that point in time I did not. In fact I didn’t give running a second thought. In hindsight maybe it may have helped. 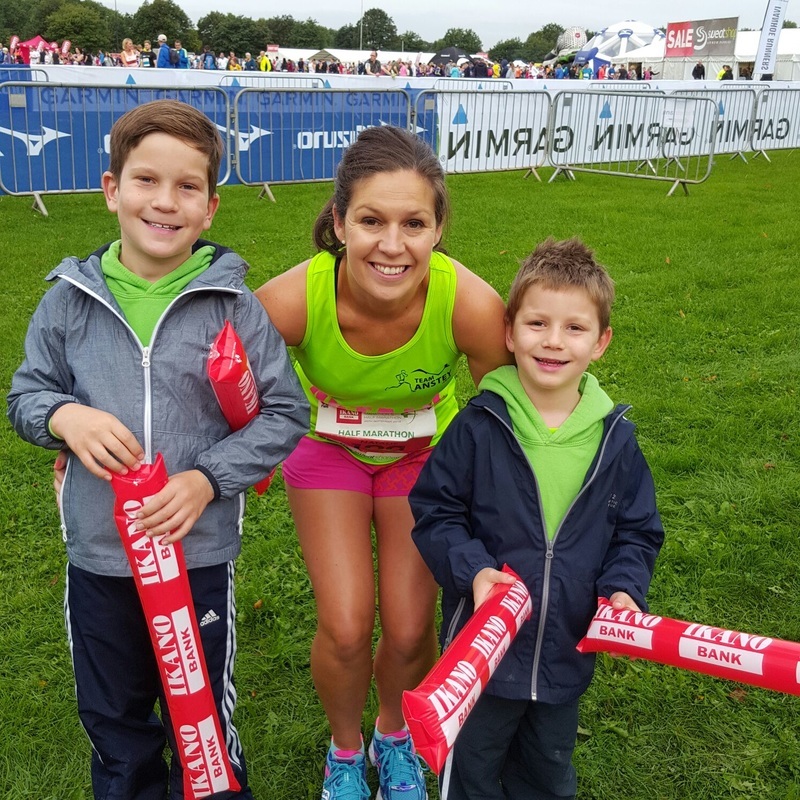 Anyway, in time I did the odd half-hearted run following the safe arrival of our fab little boys Harry and Freddie, and then when Freddie was around 4 years old I decided to get into more of routine as I realised I’d started to find my love of running again. I started out just doing 10 minutes or so and gradually increased the time, but I tended to stick to my own little loop at a slow pace and did start to get a bit bored eventually, although I enjoyed the “me” time. 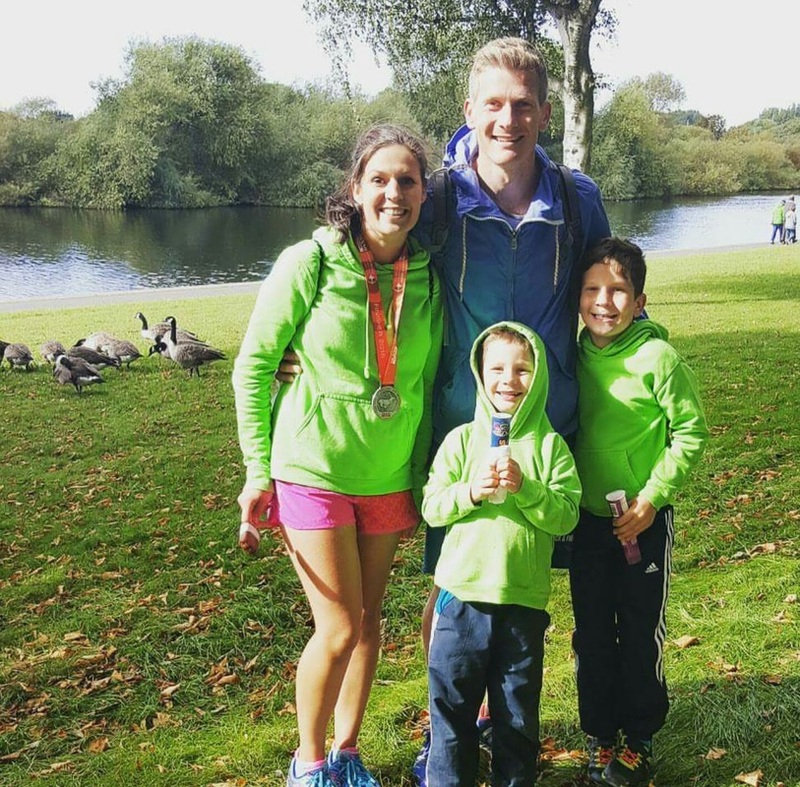 I entered the Rothley 10k in 2014 for a bit of motivation and went along to a parkrun a few months later. Never in a million years did I think I would join a running club, or race properly again, as I didn’t think I wanted any commitment. How wrong was I! I was warmly welcomed when I joined Team Anstey in its early stages (January 2015 I think it was), thinking it would just be nice to have some company now and then. 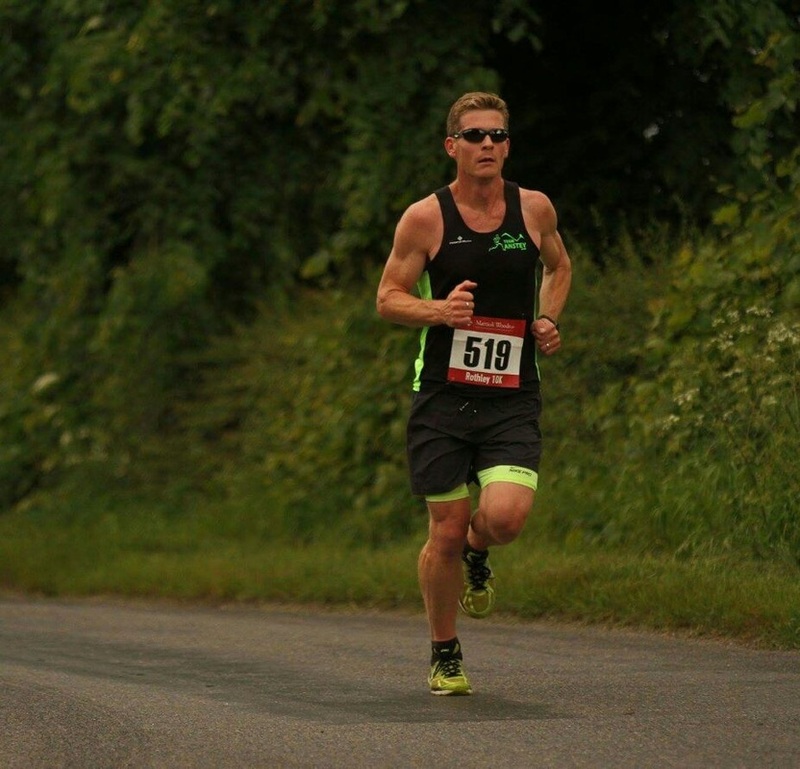 Somehow I have done every league race since we were affiliated, other non-league races and 4 half marathons in that time, and I have improved my pace to now being able to run in the 7’s, something I never thought I could do. I have had lots of fun and laughs along the way since joining, on training nights and on runs with friends. There has also always been brilliant support for those times when running just feels hard or when a race maybe hasn’t gone so well (and when I collapsed with heat stroke after the Hungarton 7 in 2015). Friends and team mates have always been there with sound advice (and usually a bit of sarcasm) to pick you right back up. I now know that I can push my body and mind more than I thought and I love what running has brought back to my life. It’s not always easy to juggle work / family / running /netball, but running is part of our family life now and I’ve gained some truly special friends. 1. 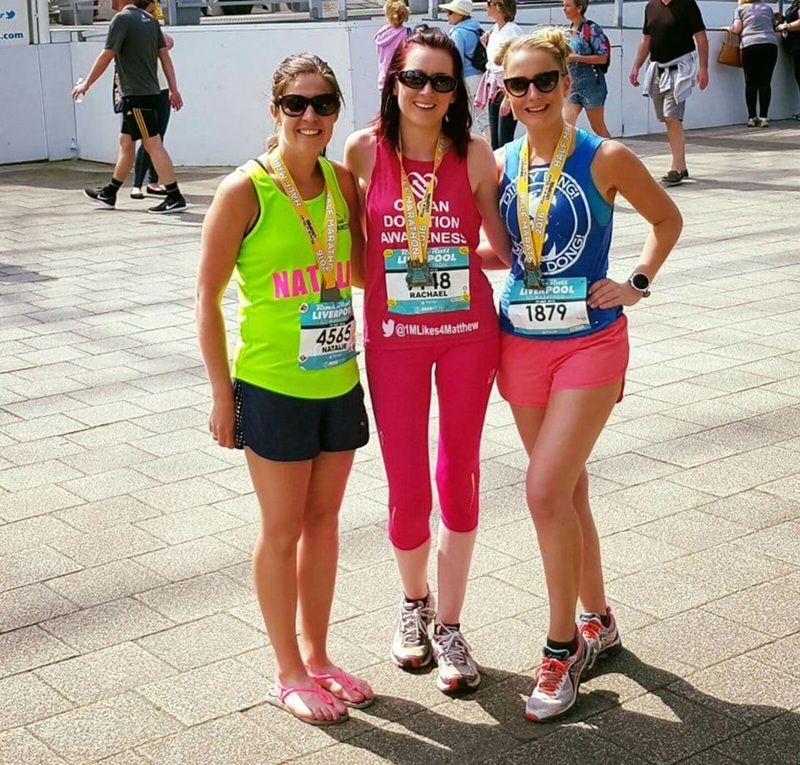 Liverpool Rock n Roll Half Marathon May 2016 (in 1hr44.02) loved this race! 2. Seeing my boys little faces when they are cheering on Mummy. 3. Being there to support my husband Matt and the lovely Chloe run an amazing London Marathon! Such a great atmosphere. One proud wife and friend! Also not forgetting all the other super Team Anstey marathoners this year. 4. Seeing my friends achieve their goals, whatever their goals may be. Whether it’s completing certain events, improving times or enjoying their training. * Enjoy! For me enjoyment comes first over anything and I hope to continue for many years. * Run with friends / team mates when you can. Running alone can clear the mind etc. and sometimes you just need to run alone, but you can’t beat a good chat / gossip / giggle / moan (hey Rach), makes running so much more enjoyable and you’ve got that support network to always fall back on. * Vary routes and understand your running… having an idea of different training intensities and how you can fit it into your own life can dramatically improve your fitness and times, if that’s what you wish. * Know when you need to rest! Listen to your body (obviously I totally do this… well I’m getting better anyway)! I started running because I was fed up! I had kind of lost my love of sport. I had sustained an injury which led to me finding out I had a kidney problem which then resulted in my right kidney being taken out a couple of years ago now. Being told to stop all contact sports was difficult to hear as a goalkeeper, as football had been my life. Natalie, (my wife), who started running with the club in its early stages said to me “why don’t you come down for a run, you may like it! ?” That was that, 2 years later and I am still running. I have always kept myself in shape with a little running in between football seasons. It was always a good way of preparing for preseason. But after receiving the news that my right kidney had to come out, due to it not working at all, I concentrated on running as a form of keeping fit. I was initially gutted when the consultant said I should not play contact sports again, I had over 20 great years playing the game and I still miss playing to this day. It was strange starting at club where I didn’t really know anyone (apart from my wife of course). My journey has not been a lonely one as I have had Natalie by my side and made some great friends in our short running life. Nat had spent many weekends watching me play football, so it is great to be involved in a sport that we both can enjoy together, plus she looks hot in a pair of shorts! That first session seems such a long time ago, running around the streets of Anstey with Geoff running in front leaving cones on the path for us to follow. I enjoyed just training at first but then realised I needed more than just that. When I heard that we were to enter league races this swung it for me. I love the competiveness in sport and I like to challenge myself. Not necessary to beat others but to push myself to achieve PB’s and to help the team, and enjoy it at the same time. Joining the team has allowed my wife and I to make some fantastic new friends. We’ve shared some amazing times and have many memories to look back on already, most recently spending a lot of time in a tent in rainy Wales with some great people (you know who you are). I have also been able to rekindle old friendships with the likes of Mr “Sutty” Sutherington who I have known for many years and am so glad our two families have become good friends. I have now completed 2 seasons, running various distances from 3-26 mile races, I am not sure where I see myself next year. I am really looking forward to the cross country races, but my focus seems to also have shifted to Parkrun distance, so I have my own little challenge to reduce my time over the shorter races. 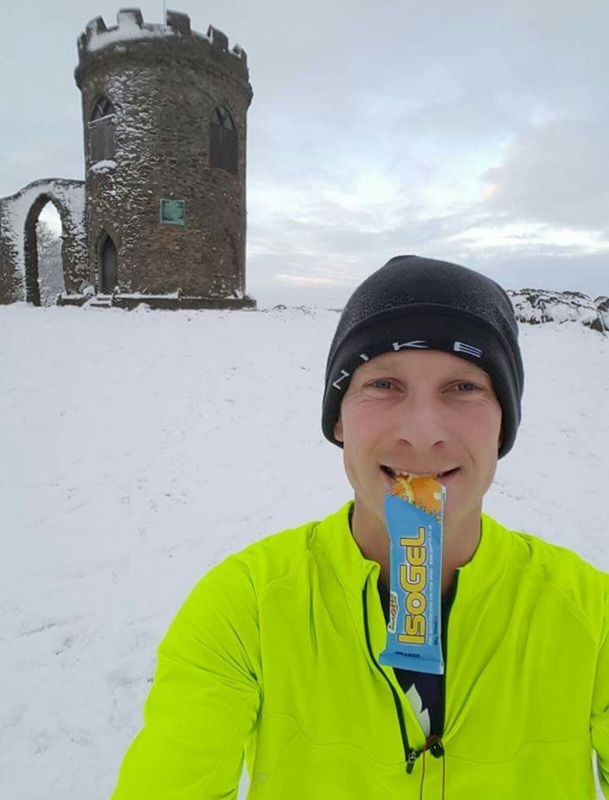 I suppose the good thing about running is that there is always a new challenge to get your teeth into, so any ideas people have please let me know. I am waiting for Team Anstey to set up a 5 aside football team so we men can get away from the women for a few hours!!! My proudest moment has to be the London Marathon this year. Never in a million years had I thought I could run that far at the same pace over 26.2 miles. I only entered the ballot on the off chance, never thinking I would get lucky. Nat was so excited whent the magazine came through the post. I had 15 missed calls when I checked at work. Why can’t I be so lucky with my lotto numbers? After hearing I was successful in the ballot I thought maybe I should run my first half marathon! So, I entered Leicester Half at the last minute and ran for VISTA who have done so much for Freddie, and for SAND's in memory of our angel Jack who was born asleep in 2007. 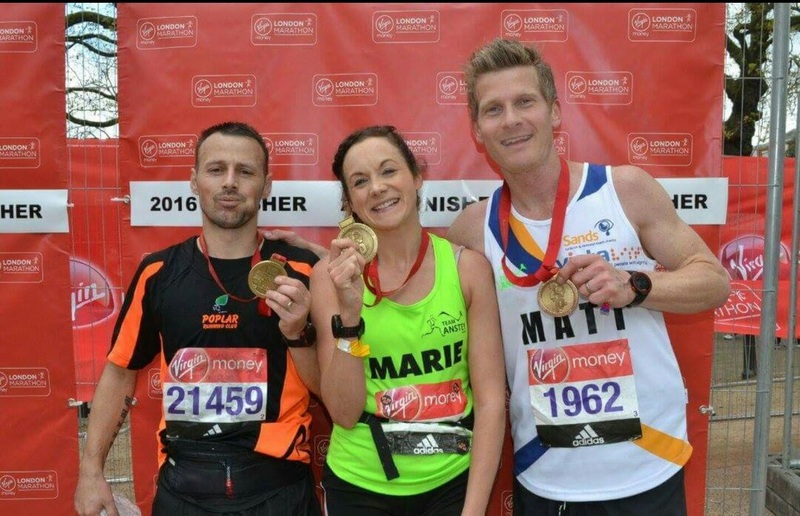 The London Marathon weekend was one to remember. The fact I could share it with Nat, the boys and our friends made it even more special, I even got to stop and give them a big hug and a high 5 twice on the way round. I shared a pen with Dave Chevin, and no he wasn’t wearing his woolly hat!! Chloe was racing as well, along with Marie, Dan, Sarah P, Alan Chevin and Vicky. It was great to share this amazing experience with them all and raise so much money, for the charities above along the way. I finished in 3 hours and 10 minutes, for my 1st and (maybe) last marathon, I was so happy. 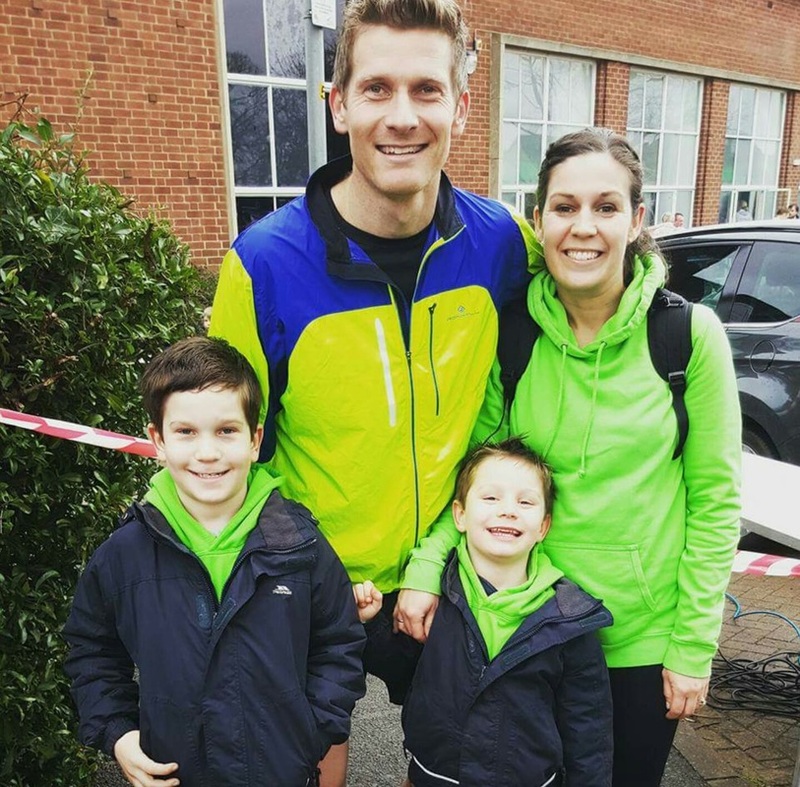 I took on board advice from many experienced marathoners but I don’t think I could have done it without my training programme, put together by my wife. It worked to perfection and she was my rock throughout my training. • Understand why you are running at different speeds to help you improve your running and times.